The MD Plus is a field-programmable closed loop DC drive system employing an advanced velocity-form PID algorithm for accurate and responsive control. The MD Pluswith -420 Option offers an isolated 4-20mA input and output for easy integration with existing Process Control systems. The MD Plus is ideally suited for metering pump applications by efficiently combining all of the application requirements into a single compact package. 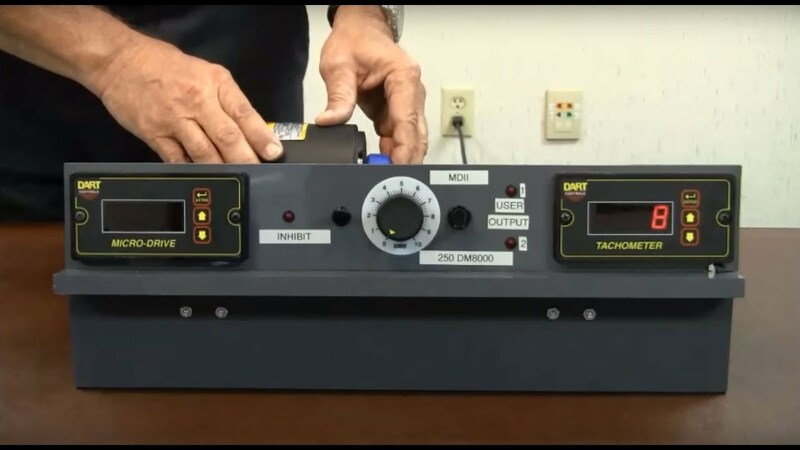 The MD Plus with -420 Option not only accepts a 4-20mA signal to control the pump speed, but it also provides a 4-20mA output signal back to the Process Control that is proportional to the actual running speed. Both the input and output signals are isolated from each other and from the control itself. The NEW -51 Option adds serial communication capability to all models in the MD Plus Series. RS232 and RS485 protocols are supported. The MD Plus system also has two field-programmable Form C relay contacts that can be set to indicate a wide variety of conditions such as the pump is running, a “fault” condition exists, and many other events. The MD plus system is available in both enclosed and panel-mount versions. The MD50E-420 version comes in a NEMA 4 enclosure complete with an auto/off/manual switch on the cover. The 1/8 DIN MD40P and 1/4 DIN MD50P panel-mount versions come complete with a NEMA 4X rated faceplate, gasket kit, stainless steel mounting hardware, and connections for an external auto/manual switch.